Sacpro in Falun, Sweden has developed Sacpipe Connection System. 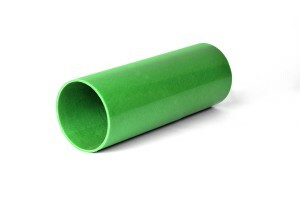 Sacpro is a leading supplier of installation tools and material for liner rehabilitation of pipes inside buildings. We continue constantly to develop materials and components in the system. Every day, we work together with our authorized installers to secure customers’ sewer system with a result that will last for many years to come. 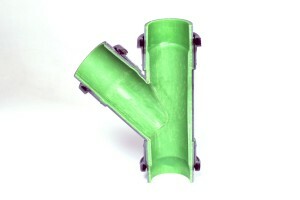 A pipe made by flexible seamless liner always provide a predetermined thickness, along and around the pipe. 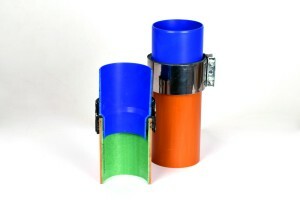 The liner in Sacpipe Connection System can be found in dimensions 50-225 mm. 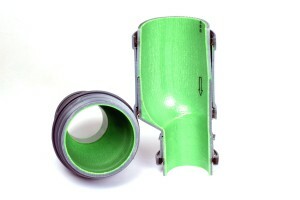 Sacpipe Connection System is very flexible and is excellent to install in pipe with bends. The liner can be installed in multiple bends up to 90° without disturbing folds. Changes in diameter is a major challenge for many relining methods but not for Sacpipe Connetions System. 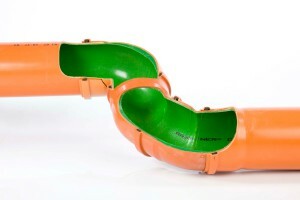 Our liner is so flexible that it makes it possible to install when having dimensional changes in the pipe. The weakest point in a sewage system is usually the branches. When installing Sacpipe Connection System prefabricated is used regardless of the size and design of branches. 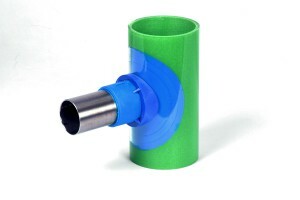 New connections can be quickly and safely be installed using the Sacparts New Pipe. Perfect for new connections on existing pipe for the kitchen drain. Sacpart Relining Connection secures the transition from a conventional pipe to relinat pipes. Our installers are located throughout Sweden.